A baby was found floating in the East River, and a tourist who saw the child jumped into the water and brought the boy ashore. Rana Novini reports. 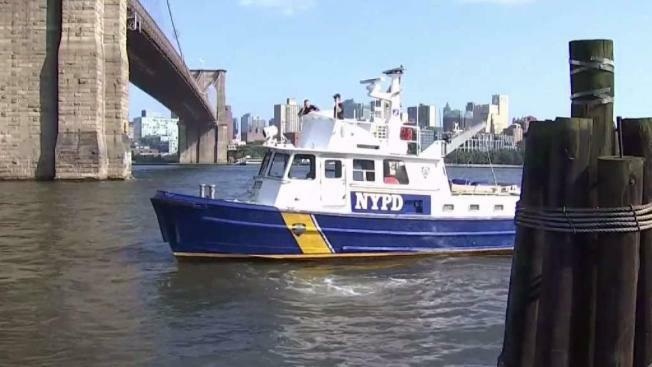 Authorities are continuing to look for the parents of the baby who was found floating in the East River Sunday afternoon, but hours later, there remain more questions than answers -- including whether an adult could still be in the water. A tourist from Oklahoma who saw the child jumped into the water and brought the boy ashore, then tried to rescusitate him, witnesses and police said. The boy, who appeared to be about 8 months old and was wearing only a diaper, did not survive. No parent or guardian was present. A senior NYPD official says the department hopes for a tip that could lead authorities to the parents or the location where the child was left. Right now, authorities have very few leads, the official says. He performed CPR until help arrived, she said. Police said they moved the child from the embankment to the pedestrian walkway and continued CPR until an ambulance came. Diana Campbell said her husband didn't feel a pulse. It wasn't clear how long the baby had been in the water. He had no obvious signs of trauma to his body; the medical examiner will determine how he died.